Jan Artursson and Thitima Ounruen opened Wanjan October 3, 2016. 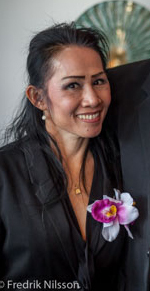 Thitima is a Thai massage therapist and has worked with people and service for many years. Therefore it is natural for her to always ensure that the customer's well-being comes first. She comes from Lampun (near Chiang Mai) in the northwest of Thailand and trained in Thai massage in the "The Union of Thai Traditional Medicine Society". When she was young, she got an education in hairdressing and worked in Thailand and even in Singapore. Then she met a Swedish man in the late 80s and moved to Sweden. Here she worked as a chef, within agriculture growing vegetables and also at hospital as a nurse. 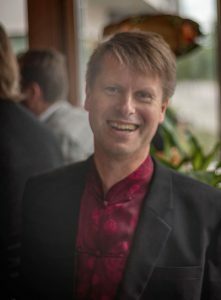 Jan is a teacher of law and business administration and has worked as an auditor. Jan has, as Thitima, also a great interest in working for the well-being of people - and that students reach their full potential.